The 'recession' is over but the effects of it still linger. Those among us lucky enough to have jobs, and especially those who have survived a lay-off, are often stuck in stressful situation. Taking on extra work due to lay-offs or hiring freezes inevitably leads to more demanding schedules and increased stress levels. Because jobs appear to be scarce and employees often have a difficult time finding other work, management, unfortunately takes advantage of employees that feel they have nowhere else to go. As workloads increase and morale takes a nosedive dealing with workplace stress is no longer an optional task, it’s a critical requirement.Successfully managing your stress on the job involves tackling the issue on a number of fronts. Unfortunately, I’ve had some experience with this topic. So here are some suggestions that I used to make life a little easier, when the job becomes increasingly more difficult. Make a List and Check It Twice (a day): Think of the things you honestly like or enjoy about your job. When I made my list it included my co-workers (well most of them), sandwiches at the café near the job, the fact that I had my own office, and my favorite topics to train on. While there were a number of things that stressed me out, focusing on the people and things that I did enjoyed helped a bit. Walk It Out: Using my break times to take short walks helped immensely. The act of walking as well as getting outside and out of the office helped to immediately alleviate some stress. Talk About It: Find a sympathetic ear … who will let you vent. It could be a friend or a spouse but it helps if it is not a co-worker. When you confine in a co-worker, you run the risks of your venting becoming office gossip which could quickly make a bad situation worse. Drive Your Troubles Away: When leaving work, I made sure that I did not pull out of the parking lot until I had put on one of my favorite CDs. As I sang along (and okay, yes, did a little dancing), it helped me put work in perspective and keep it where it belonged … in my rearview mirror. Be a Lady (or Lad) Who Lunches: Like with the walks, having a lunch I enjoyed eating gave me a nice break. It’s even better if it can be enjoyed with friendly co-workers or at a place or in an environment you like. It is a great way to break up the day. 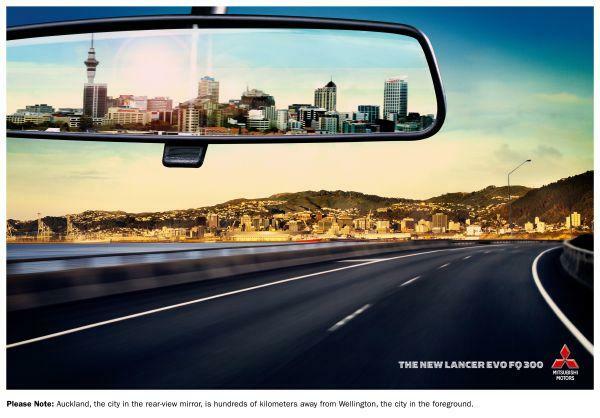 Look Elsewhere: Yes, the economy is bad. Yes, jobs are hard to find … but that doesn’t mean they are impossible to find. Update your resume and start looking. Looking for other work helped me to feel that I had some control of my circumstances. Not only did I look for other employment, I found it - leaving a very toxic situation for one that is much healthier. So while good jobs are hard to find right now, it's still possible to find one. Ladies Who Lunch is a term that originated in a Broadway musical to describe well-off women who have time for long, leisurely lunches. As a professional with a busy schedule, you probably wouldn't consider yourself a lady who lunches, but you should, sort of. I'm not advocating taking a two-hour, three martini lunch in the middle of the workday but I am advocating using your lunch time and taking your breaks. 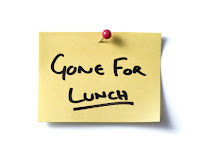 Did you know, according to a 2010 survey by Right Management and Linked In, only 47% of American workers take a lunch away from their desks? Twenty percent eat at their desk, and 13% seldom or never take a lunch break at all. Many employers even frown on taking a lunch. It looks like you are being more productive if you are tethered to your desk all day long. But guess what? Taking a lunch and maybe even a mid-morning or afternoon break actually makes you more productive. Your body and your mind need that breather. It needs the time away for physical nourishment and mental regeneration. I too have been victim to task master bosses who equate lunch with slacking off but I also know that I feel better and my work is better if I take a breather. On nice days, I might eat at my desk while working, but I do it so I can take a short brisk walk afterwards.My methods may be unconventional but my results can't be denied. 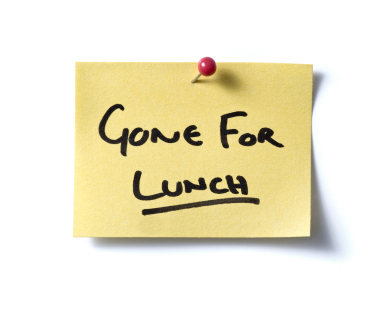 Even if it's just 15 minutes, make a effort to get up and have a real lunch away from your desk. For those precious few moments: enjoy your food, chat with a co-worker, read a book, thumb through a magazine, play a game on your phone or take a short walk. Do something but do it away from your desk and make sure it's not work. Be a lady (or gentleman) who lunches! As a trainer who's used off-the-shelf customer training curriculums, it always amazed me that the focus of customer service training dealt solely with the customer. The customer is right. The customer needs to have a good experience. The customer, customer, customer! Yet, how can a customer service professional (CSP) create a good experience for the customer if they aren't having a good experience themselves? This is the question that led me to write The Colors of Customer Service - bringing customer service full circle by addressing the apathy, discontentment and frustration that many CSPs feel and then telling them how to address the customers concerns. 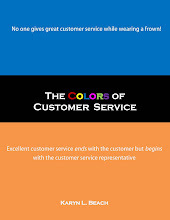 Now, I've taken the book a step further by designing a training kit to deliver The Colors of Customer Service training. The kit can be used and modified by seasoned training professionals or used by managers and others who have little to no training experience. Participant's Guide: This can be copies and binded and given to participants. It contains a Customer Service Quiz that gauges their levels of apathy, discontentment and frustration. It leads them through a series of exercised designed to increase their levels of engagement and job satisfaction. PowerPoint Presentation: Following the order of the guides, the presentation contains slide notes that give suggestions on what to add with each slide. Electronically, there are two presentations, one with animation and another without. Exercises: There are two exercises designed for small groups. These exercises deal with difficult personality types as well as managing change. I am excited about the book and the training kit. The training is designed for a full traiing day (6 hours) but the beauty of the kit is that it can be broken down and customized to fit whatever scheduling challenges you might be facing. If you can't successfully manage stress at work, you run the risk of taking it home with you. Not leaving work at work creates all sorts of problems: fighting with the spouse, snapping at the kids, emotional eating, withdrawing from social activities, and losing sleep are just some of the effects of not being able to leave work at work. I had a co-worker who had recently been promoted to a supervisory position. He would spend 12 hours or more at work tying up loose ends. He told me he was afraid he’d forget something if he didn’t take care of everything right then. I gave him two suggestions. I told him at 5:00 p.m., to make a list of all the things he needed to take care of the next day. Writing out a to-do list would help keep things from falling through the cracks and give him some much needed piece of mind. Then I told him to use his commuting time to separate from work. Have a favorite music or books on tape cued up to start when he turned on the ignition Then, as he pulled out of the parking lot and started his drive, glance a few times in the rear-view mirror and watch the building get smaller and smaller until it was gone. At that point, I told him to start focusing on his evening. What would he have for dinner? Was anything good coming on TV? What things could he take care of around the house? The point was to stop focusing on work and start focusing on all of the other things he had to do. Work worries need to stay at work. I ran into him a few days later and I could actually see the relief on his face! He had been using the list and as a result he’d been getting more done and leaving on time. He said using his commute to refocus also helped. By the time he got home, work was a distant memory. I read about a man who, as he would come home in the evening, imagined putting his work worries on the potted tree outside his door. They would stay there until he picked them up the next morning, on his way to work. He made sure that he didn’t take them into the house with him. I do something similar with the shower. After a particularly bad day, I like to imagine all my worries and troubles washing down the drain with the soap suds. It can be a particularly powerful visualization. Communication is also key. If you need a moment to refocus when you get home, don’t be afraid to ask for it. Sit in your car for a minute if you need to, or park for a moment around the corner. Work something out with your spouse so that you can have a moment or two to yourself when you get home. It doesn’t have to be an hour, sometimes five minutes can be enough.